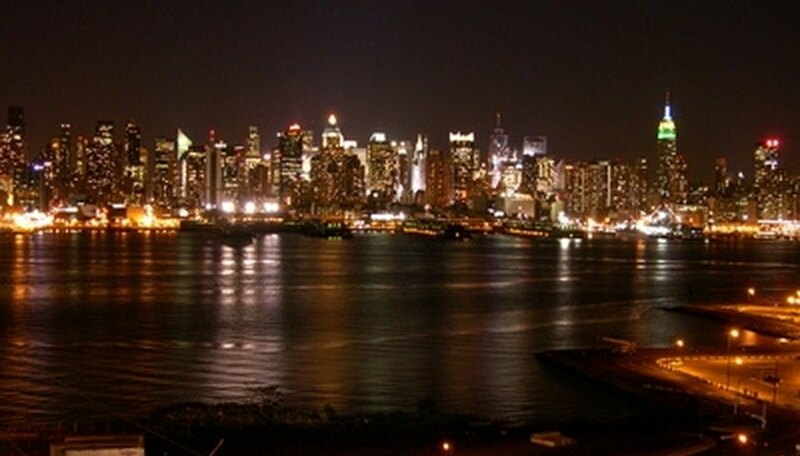 Queens, New York is one of the five boroughs of New York City. Located on the very western part of Long Island, Queens includes the neighborhoods of Flushing, Jamaica, Long Island City, Whitestone, Howard Beach and Woodside. With its proximity to Manhattan (it is within a 10- to 15-minute subway ride from most areas in the borough), Queens is an excellent location for a romantic vacation. Stroll through Central Park, go to the top of the Empire State Building or visit the beautiful Brooklyn Botanical Gardens. The Lexington Marco is an intimate, boutique-style hotel located in the heart of Flushing, New York. The property is situated just four blocks away from the subway with easy access to all the romantic sights in nearby New York City. The Magna Ristorante, located in the lobby, serves breakfast, lunch and dinner and is a local favorite. The Magna Bar offers an extensive wine list, full bar and outdoor seating on the patio. The Lexington Marco LaGuardia Hotel also provides a 24-hour fitness center. Each of the hotel's 81 spacious guest rooms feature comfortable modern furnishings with pillow-top mattresses and luxury linens, complimentary high-speed wireless Internet access, cable TV with premium channels, a microwave, refrigerator and well-equipped en suite bathrooms. Located three miles from New York's La Guardia Airport and within a 15-minute drive of Manhattan, this Asian-inspired hotel features a romantic lobby area decorated with Qing Dynasty antiques and statues and it offers beautifully appointed guest rooms. The on-site restaurant, Deluge, offers romantic candlelit dinners in a modern, cozy environment. The 173 guest rooms, decorated in rich tones of brown and cream with Chinese window screen accent pieces, boast plush pillow-top mattresses and plenty of pillows. Guest room amenities include complimentary high-speed wireless Internet access, cable TV, a work desk area and separate seating area. The Sheraton LaGuardia East Hotel features a 24-hour fitness center, a business center and shops, including a florist and a beauty salon, located in the lobby area. Romantic area attractions include Manhattan, just eight miles away and the Flushing Botanical Garden, located two miles from the property. The Ravel offers the ultimate in romance with its sleek modern design and magnificent views of the Manhattan skyline. Located in Long Island City, Queens this luxury boutique hotel offers 63 beautifully designed guest rooms, each with private balconies, nine-foot ceilings and spa-inspired en suite bathrooms. Upgrade to the magnificent King Suite featuring 700 square feet of space with his and hers closets, two plasma televisions, a balcony overlooking Manhattan and separate living room. Hotel amenities include Penthouse 808, an on-site, glass-enclosed romantic restaurant overlooking New York City and a local shuttle service, available from 7 a.m. to 11 p.m., to area subways and local restaurants. The heart of Manhattan is only minutes away from the Ravel Hotel. Explore Central Park, visit the Museum of Modern Art or catch a Broadway Show. Go shopping at Saks Fifth Avenue or Bloomingdales. Rowling, Bryony. "Romantic Hotels in Queens, New York." Dating Tips - Match.com, https://datingtips.match.com/romantic-hotels-queens-new-york-7227578.html. Accessed 20 April 2019.